During their many seasons on prime time, Shark Tank and the lesser-known business reality show The Profit have doled out nearly $100 million to hopeful entrepreneurs. Now, noted news source (?) OnlineCasino.ca has taken a look at the traits of those winners to craft a portrait of the successful startup business owner. 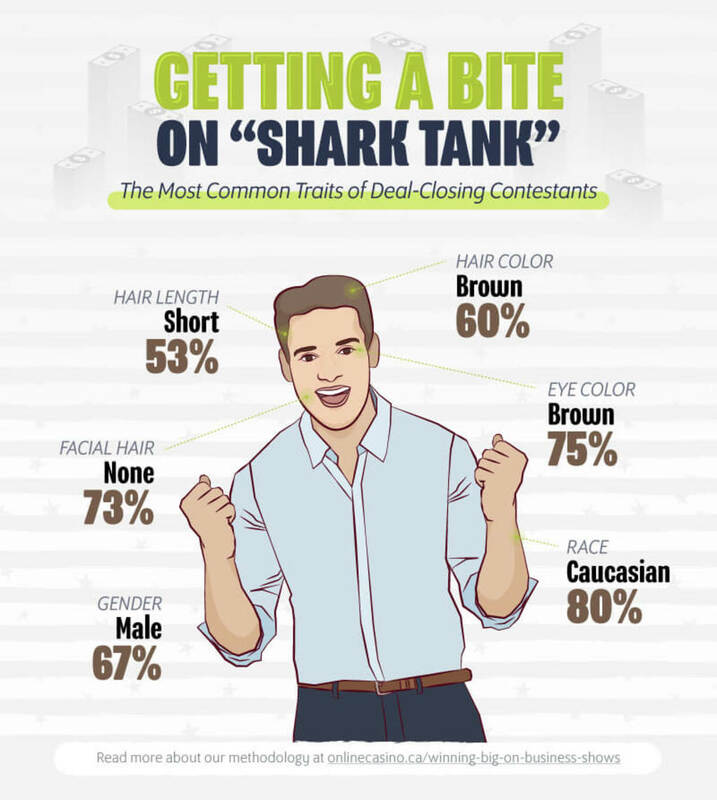 The website studied 780 success stories from Shark Tank and 76 from The Profit to crack the code on who closes the deal and who goes home empty-handed. The winners? Unsurprisingly, white men come out on top on reality TV. On Shark Tank, 80% of successful contestants were Caucasian, while 67% were male. 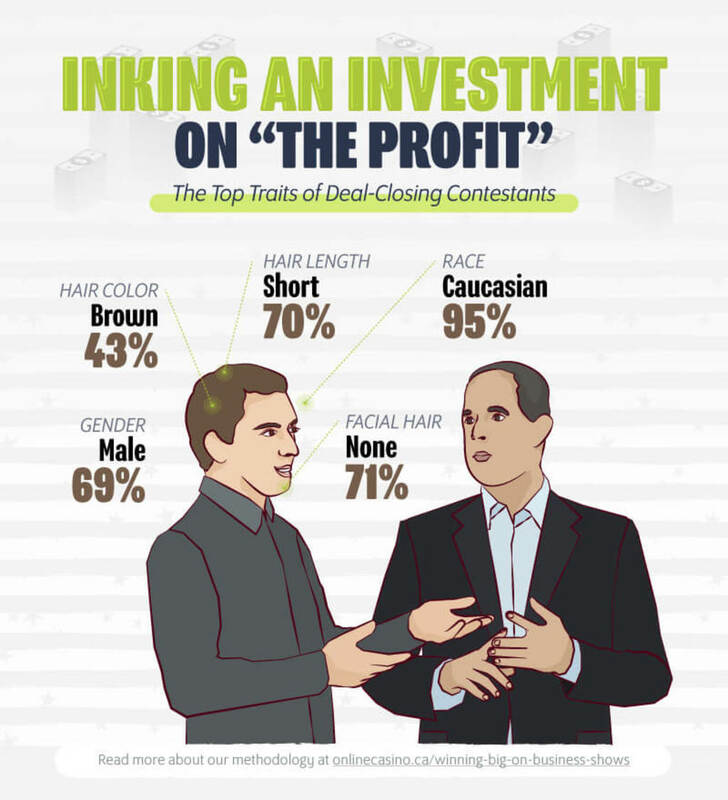 Having no facial hair, short brown hair, and brown eyes were also traits of most winners. The Profit was even worse when it came to the diversity of winners, with 95% of winners being Caucasian and 69% male. In short, reality TV might be a lot more like real life than you previously believed.